Since we spend a third to half our lives in our bedrooms or personal space, it makes good sense to make it as healthy as possible. Sleep deprivation has been proven to lead to number of health problems such as high blood pressure. The body needs sleep to replenish the damage of the day can do. Making your bedroom eco-friendly consists of making many little changes to the decor of the room. This includes getting organic bedding, made with natural cotton, wool and latex, restored furniture, “green” paint, wood floors, natural fiber rugs, energy-efficient light bulbs, a dimmer switch and cotton pajamas. 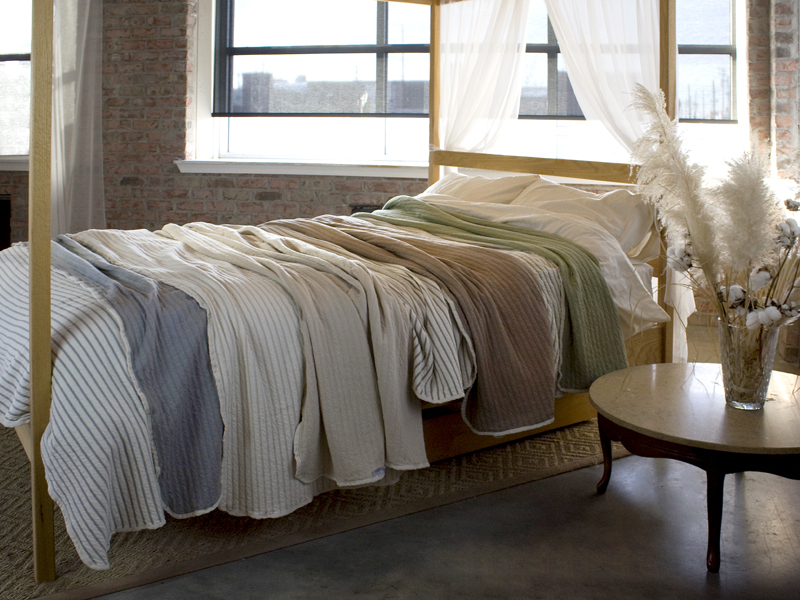 Surrounding yourself with natural fibers, pieces of furniture without glue or chemicals and paints with low- or no-volatile organic compounds (or VOCs) and organic cotton pajamas is a great way to keep your bedroom free of indoor pollution. Small steps like these help ensure that you are getting the most of your sleep experience. Do you really need a showroom to test a mattress?